Hormonal system of Human body is an essential part of our daily activities. Metabolism, assimilation, digestion, strength, Blood pressure, regulation of Glucose and sugar, mental and emotional behaviours etc etc are dependent upon the good health and normal functioning of Endocrinal systems, which is also known as HORMONAL system. Most of the people’s donot know about the treatment of the Endocrinal systems in other therapeutic systems prevalent in INDIA. General public knows that Modern western medicine have only answer for the treatment of ENDOCRINAL complaints, but this is not true. AYURVEDA and Homoeopathy and UNANI system of medicine have grace to treat the ENDOCRINAL DISORDERS successfully. By the advent of the AYURVEDA scanning system “ETG AyurvedaScan”, now it is possible to pin point problem of the individual patient, at the root level, from where the problems are generated. The ETG system provides the data of the various VISCERAS, including Autonomic Nervous system and others essential parameters , which are used in the ANALYSIS, SYNTHESIS, CONCLUSION of the problems and finally to translate the data in treatment and management. Our studies show that ETG based treatment of the ENDOCRINES anomalies are always successful to root out the problems as well as to minimize the tendency of the disorders. अनावश्यक “सर्जिकल आपरेशन” से बचाव करिये ; अगर आपको सलाह दी जाती है कि आप अपनी बीमारी का इलाज सर्जरी से …………………!!!!! If your physician, suggest you for a surgical operation of your complaints, donot materialise the idea of surgery atonce. I am not talking here for those surgical conditions, which requires immediate attention or in emergency surgery becomes necessary in case of trauma / accidents and so on.. So many conditions are founded for surgical interventions, in which many of them donot require immediate surgery. Among these cases, most of the conditions are treatable successfully by Ayurvedic medicines and Homoeopathy including other AYUSH therapies and are helpful for total cure of these conditions. A very latest case of a female from Distt; BARABANKI shows the unnecessary surgical intervention. Last year 2010 in the month of October a MUSLIM lady consulted me for Fibroids in her Uterus , detected after Ultrasonography examination. With this she ULTRASONOGRAPHY SCAN shows that she is aslo having bilateral kidney stones in big number of variuous small sizes. Prevoiusly and presently She was taking Allopathy treatment of a lady doctor from Lucknow for her INFERTILITY problems because she have no issue after of Eight years of her marriages duration. Her Husband and she also very anxious for a children. The Allopathic doctor advised her to remove her Uterus because of number of presence of Fibroids and other hormonal problems and also said her that she will never be concieved / pregnent . She refused for OPERATION. She came from Barabanki to Kanpur for consultation. Barabanki is about 120 kilomwters away from Kanpur. I examined her and told her that she should not go for any surgical intervention, if she will go for any surgical treatment, there is no gaurantee of PREGNANCY in future. My experince since many years, that if any female goes for any minor or major surgical intervention for example D & C [dilation and curretion] and other processess, PREGNANCY is impossible or difficult in these cases, so I warned her and I prescribed combined medicine for her RENAL STONE and Uterus problems. For renal stone I prescribed a combination of Homoeopathic mother tinctures and for Uterus , Fibriods, Hormonal anomalies etc , I prescribed AYURVEDIC MEDICINE. 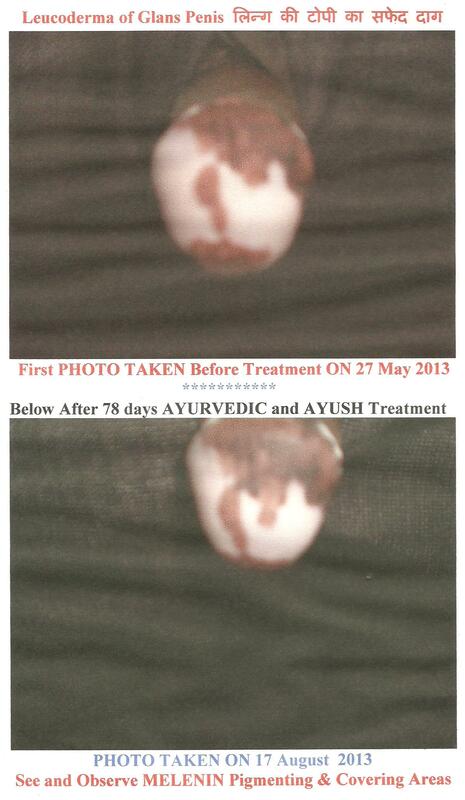 I asked the lady that she shuld carry the treatment atleast for FOUR months and after that she can consult me again. She visited my clinic on 01st May 2011 with the complaint that she is having continuous pain in her weist at right side. After thorough examiantion, I concluded that the pain is no more related to Renal system, nor it is Intestinal / colon pain. After going thorugh all examination procedure, in conclusion I suggested her for an repeat ULTRASOUND examination of whole abdomen, because previously ultrasound was one year old. I thought that a fresh U/s examination is necessary to see the changes in one year duration. “in report many Reanal stones were melted in size and in numbers, her fibroids were gone and was no traces of any FIBROIDS in her UTERUS but the most wonderful thing happened and that was ” a preganancy of 11 weeks and the embryo condition is normal in function and in size and and in progress inside the UTERUS”. I told her husband that he should go back to his home and consult any Gyneacologist either in BARABANKI or in LUCKNOW. This is perhaps 5th case of late preganancy in my practice life., when patient came for the treatment of some other disease condition but as a result sudden pregnented. My Experience with these cases are related to the concept of AYURVEDA or other AYUSH therapies, which advocates that WHOLE BODY should be treated in any disease condition, because human body is a SINGLE UNIT and should not be divided in parts or organs. Colitis is a very common disease condition and the majority of the population of the world is suffering with this condition. The colitis is a disease condition of the LARGE INTESTINES in general but sometimes SMALL INTESTINES are also involved in specific disease conditions like Tuberculosis and other infections like coli, cocci etc. The problem is mostly seen in every age group but most prominent in youngesters and middle aged persons. Yougers are also involved with this problem. Colitis disease condition is divided in several stages;  Semi Acute  Acute  Chronic  Long Lasting etc. Inflammaetary Colitis, Ulcerative Colitis, mucous colitis etc are the conditions of this disease. In AYURVEDIC MEDICAL SYTEMS , Colitis is a totally rootout curable disease condition. I have cured many many cases of the colitis successfully and even today treating the similar conditions. Ayurveda have a lot of formulea of treating this condition. DUGDHA KALP and MATHTHA KALP procedure is adopted for severe and incurable condition of COLITIS, where all medicines failed and are not reacting properly in patient. RAS KALP with the prohibition of diet is a sure shot treatment of COLITIS. Many medicines are used in the treatment of COLITIS, but among them PARPATI of defferent mades are used for the treatment according to the disease condition, among them RAS PARPATI, PANCHAMRIT PARPATI, VIJAY PARPATI, SWARN PARPATI are famous for their actions on entire COLON and Gastro Intestinal tract and is very beneficial, if used with or without KALP including prohibition of diet. COLITIS is a totally curable in AYURVEDA. Paracetamol , an Allopathic medicine, is used in the treatment of FEVER, Mostly in all cases of Fever this is common medicine of use. But a report is published in DAINIK JAGARAN, Kanpur edition on 12 April 2011 that this medicine can CAUSE BLOOD CANCER .